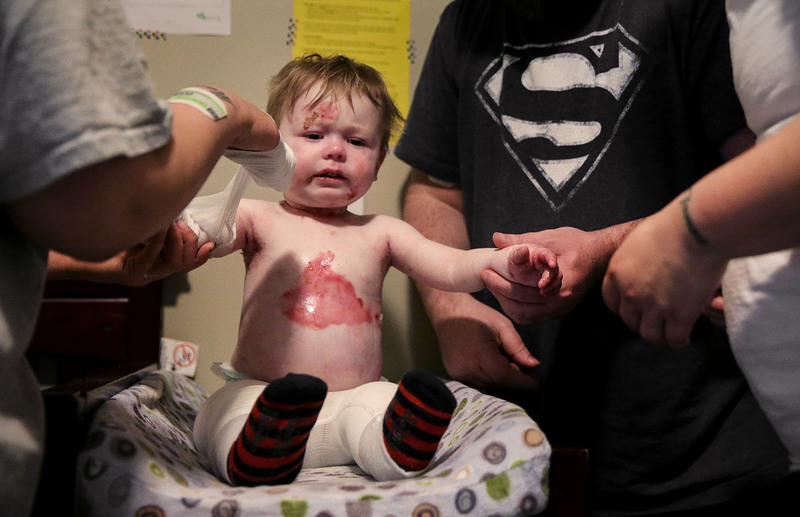 From left, Ashley Palmer changes a bandage on Hayden Esser along with Hayden’s parents, Brandon and Nicole Esser, at their old home in Centralia on Wednesday, April 5, 2017. Palmer lives with the family as a respite caregiver to help care for Hayden. Hayden has to have his bandages, which protect his skin and allow his blisters to heal, changed every day or every other day.